Things get so busy in the lead up to Christmas, my plan this year is create little games and activities that the children can do independently to keep them busy whilst I'm getting everything ready for the big day. This Christmas stocking matching activity is perfect for keeping Ethan busy and teaching him about matching and counting as well as helping with his fine motor skills. I started by setting out all of the materials for Ethan to decorate his stockings, just giving him the instruction that he had to make matching pairs and helping him along if he asked me any questions. He decorated some with foam stickers and some with washi tape and did a really good job at making matching pairs. Once they were finished we put them all on the string in their pairs and talked about how they all matched and how if we mixed them up then we could put them all back together in their pairs. I set up the matching game by turning all of the stockings upside down beside the string with clothes pegs. We played the game two different ways, either Ethan playing on his own or us each taking turns. He turned over one stocking at a time and tried to find matching pairs. When he found a matching pair then he could peg them to the string, working on his fine motor skills to open up the peg widely and place both the stocking and the string inside. It took him a minute to get the hang of it, but soon managed really well. Sometimes he didn't find a matching pair, then it would go onto my turn or he would turn them back over and go on to find another match. He finished up the game and pegged all of his matching pairs proudly to the line. I also love that these stockings look really cute on the line, so we can keep them hung up along the fireplace when we're not playing with them and they work as Christmas decorations as well. 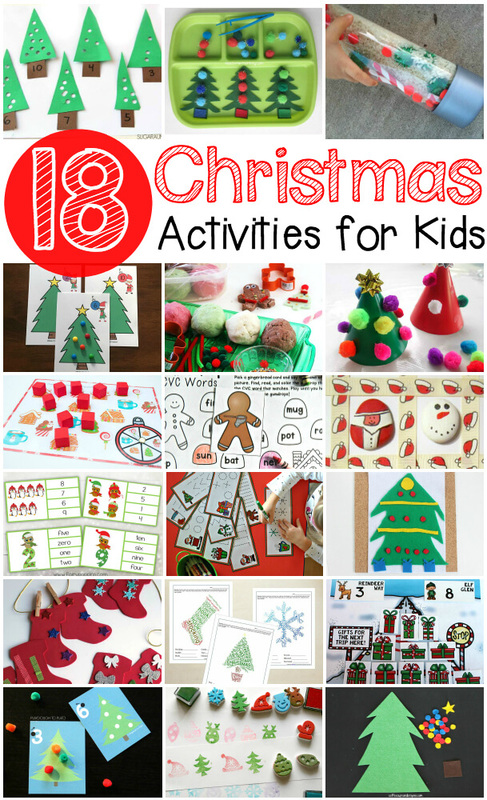 This post is part of a blog hop of fantastic Christmas Activities for Kids, take a look at all of these fabulous ideas!